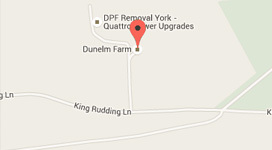 Every DPF York Engine Diagnosis includes a comprehensive engine diagnosis to establish any running faults. Faults such as ignition misfire, blocked filters, and poor fuel economy can be tested by a simple measure of your vehicle's exhaust gas content. Digital and graphic text messages are displayed to monitor engine mechanical condition, ignition performance as well as ECU, oxygen sensor, air mass measurement, throttle position sensor outputs on all EFI engines, or carburettored engines, of any make or model. This world-class diagnostic technology allows the service technician to quickly identify problem areas. Computer diagnosis of complex faults is often the only way determine repairs required on late model vehicles. Make an appointment for a complete engine analysis. Full on-site Automotive Electrical Service. 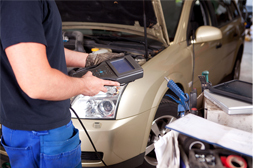 All auto-electrical repairs are carried out by a fully qualified Auto Electrician. Full auto-electrical diagnostic and repair of auto electrical parts, charging system analysis, reconditioned alternator/starter, regulators, lights and indicators, electrical shorts, and all auto electrical components.